Karl Theodor Goldschmid was born 1896 and raised in Dättlikon (Zurich), Switzerland, the eldest of six siblings. He was an explorer and avid photographer, spending most of his life traveling in Europe, Asia and Latin America. He climbed over 60 peaks in the Swiss Alps and Latin America, always carrying a camera with him. Numerous large sized negatives, some of them on glass, are a testimony of this early passion. 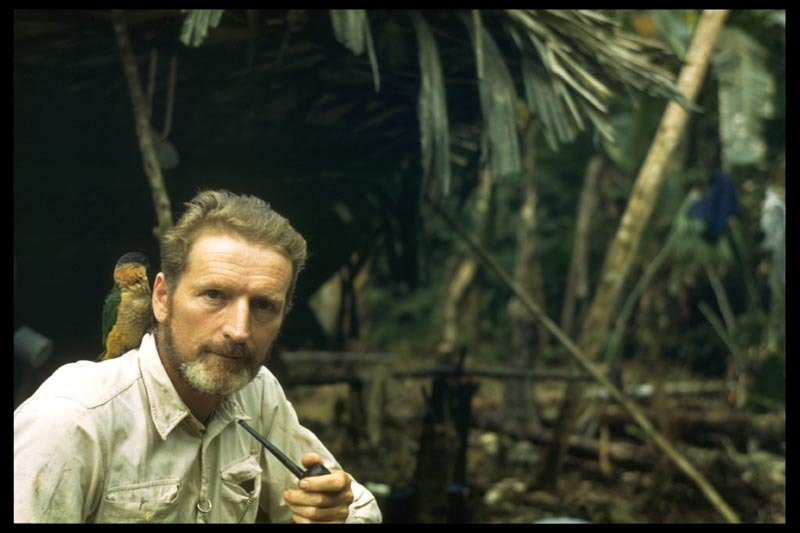 Before beginning his assignment in Ecuador he purchased one of the most modern cameras available, the Contax II, which he used to produce some of the first colour photographs of the Amazon region using Kodachrome (35mm) film. In addition to this new model, he also carried in his rucksack (back pack) a 9×13 and a 4×6 camera, his tripod, a light meter, and other photographic materials. During his time in Ecuador, KTG organized over a dozen expeditions from the Andes to the Amazon Basin, climbing several volcanic mountains, traveling through dense rainforest and along the numerous Amazonian rivers. This provided fascinating insights into the rich culture, diverse geography and abundance of nature in these regions at that time. In 1961, KTG retired and returned to live in Zurich, Switzerland where he lived with his wife until his death in 1982 at the age of 86. He left behind numerous meticulously written diaries, as well as beautiful images of his journeys, providing great insight into these regions in their historical context, which are now maintained in the Archivo Goldschmid and managed by his son and granddaughter. Born in Dättlikon, Zurich, Switzerland. He is the eldest of six siblings born to Bertha Ulrich married to Theodor Goldschmid, a protestant minister of the Dättlikon Parish from 1892 until 1905. He attends the Universities of Zurich and Bern, obtaining a Doctorate in Geology. In 1917 he is drafted to the army centre of Locarno and fulfils his active military service in World War I. He climbs 53 peaks in the Swiss Alps, including two new routes of ascent. He is hired by the Shell Oil Company of Holland, and works 23 years on geological surveys in several countries. He carries out several assignments in: Paita, Peru, Maracaibo, Venezuela and Indonesia. Marriage to Leonie Armster. He travels with his wife and daughter Lonni to Tampico, Mexico, where his son Heinrich is born on 5 of May 1933. Expropriation and nationalization of all the oil companies in Mexico and subsequent transfer with the family to Guatemala. While on vacation in Switzerland, World War II errupts. He is drafted to compulsory Military Service and exonerated to comply with his assignment in Ecuador. Residency in Ecuador with the family. 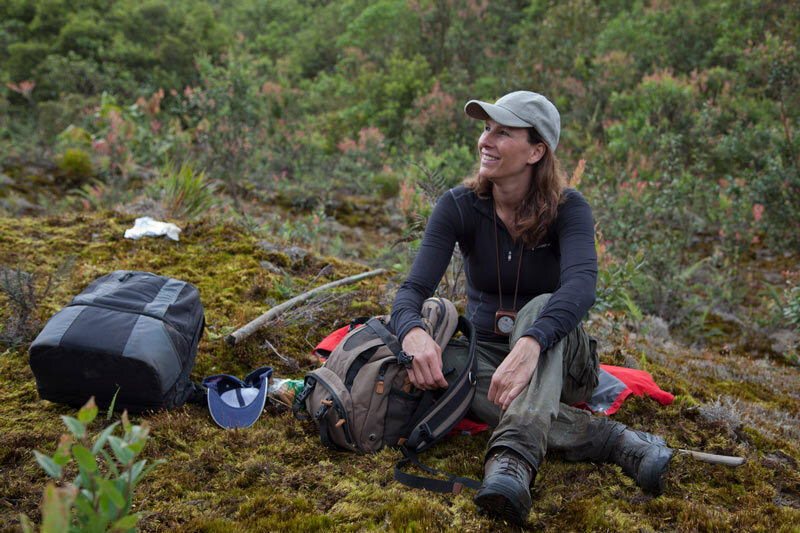 Here he accomplishes ten expeditions to the Amazon Basin for geological surveys. KTG and the family return to Zurich. KTG asks for his retirement from the Shell Oil Company. KTG Works for the Geologic Commission of Switzerland. Several social and academic circles of Zurich invited him to give presentations on his expeditions from the Andes to the Amazon Basin in Ecuador; illustrated with slide projections. He signs a contract with Iran Oil Co.
KTG retires and returns to Switzerland, where he constructs his chalet in Laax, Flims and together with friends organizes several excursions to the Alps. He establishes contact with Dr Paul Schauenberg, promoter of the Project for National Parks in the Amazon Region for the Word Wildlife Fund. Karl Theodor Goldschmid dies in Zurich at the age of 86 years. Heinrich (Henry) Goldschmid was born in Tampico, Mexico and was raised in Mexico, Ecuador and Switzerland. He graduated from the University of Basel in 1964 with a Doctorate in Geology. He spent most of his professional life working for the Holderbank Cement Company in Costa Rica, Peru, Ecuador, Venezuela, Mexico, Canada and the USA. In 1968, he married Ruth Goldschmid and they had a daughter, Patricia. 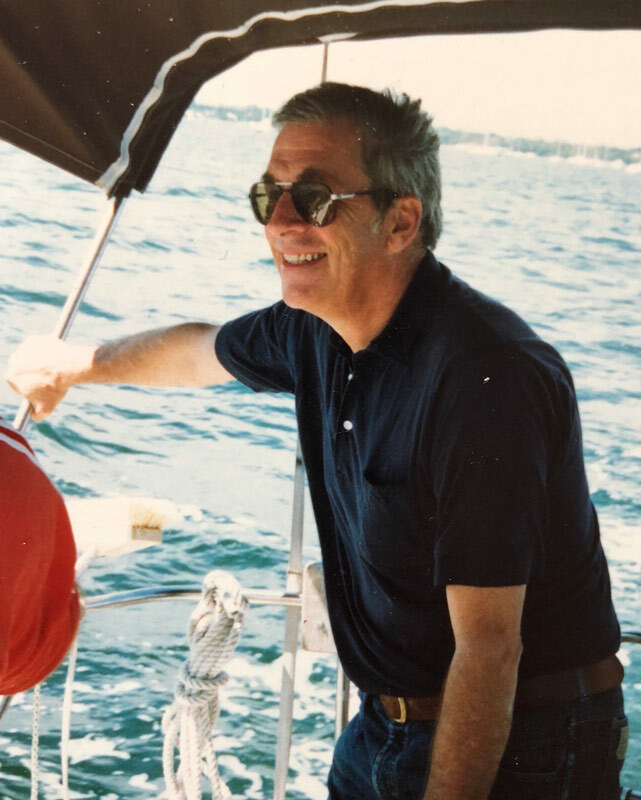 After retiring in 1995, he spent half of his time in Zurich and the other half in Ecuador, where he created the Goldschmid Archive based on the materials left behind by his father. In 2005, he published the book “From the Andes to the Amazon Basin in Ecuador: An Explorers Diary from 1939 to 1946”. He is currently living in Zurich, Switzerland. Patricia Goldschmid was born in Lima, Peru (daughter of Henry and Ruth Goldschmid and granddaughter of Karl and Leonie Goldschmid). She grew up in Peru, Ecuador and Canada and moved to Switzerland in 1996. She graduated from the University of Toronto with a Bachelor of Arts in 1996, majoring in Languages and Literature and completed a Masters of Science in Communications Management at the University of Lugano, Switzerland in 2006. She currently lives in Geneva, Switzerland working as a communications and evaluation consultant as well as a trainer and coach. Since 2005, she has travelled to Ecuador on a regular basis, visiting her father and travelling throughout the regions explored by her grandfather. In 2011, she started working on the idea of retracing her grandfathers steps in a documentary film and is currently finalising the project.